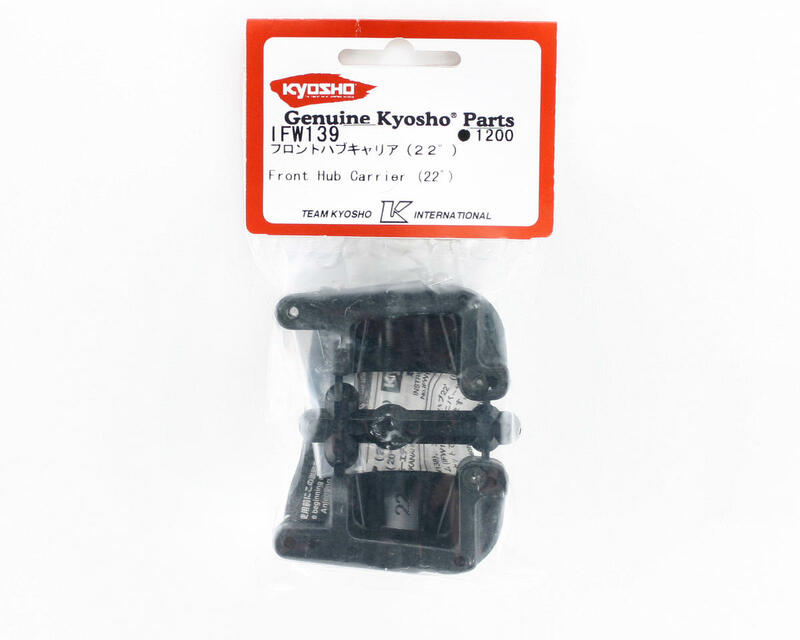 This is a set of optional 22 degree front hub carriers for Kyosho buggies, and fits the Inferno MP7.5 buggies. 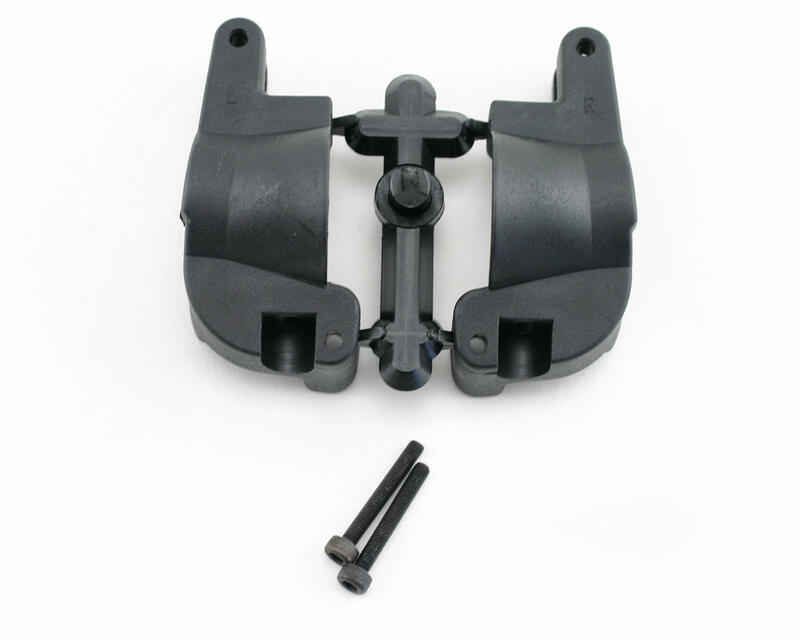 These front hub carriers are used to attach the steering knuckles to the front arms, and have 22 degrees of castor built in (22 degrees laid back from vertical). More castor (ie: more laid back) will provide more on power steering leaving corners, but will cause the buggy to have less off power (or corner entry) steering.